Many enterprises must retain regulatory and compliance archives for extended durations, which traditionally require expensive, purpose-built hardware and can quickly drive up storage costs as the volume of data retention increases. Turning to cloud storage like Amazon Glacier, for long term archiving allows companies to store data cost-effectively for years or even decades, offloading the administrative burdens of operating and scaling storage to Amazon Web Services. 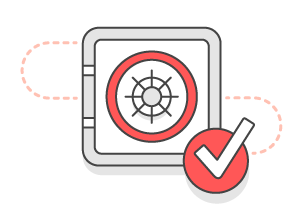 And with Amazon Glacier Vault Lock, regulated industries such as financial services, legal firms, and healthcare organizations can feel secure about meeting compliance requirements, as Vault Lock allows them to set controls to meet compliance and regulatory objectives for electronic storage, such as SEC Rule 17a-4 (f). An AWS Account: You will need an AWS account to provision resources for this project. Sign up for AWS. IT Skill level: Experience with storage and backup technologies, networking, virtualization, backup tools, and tape solutions is recommended, but not required. AWS Experience: Basic knowledge of Amazon Glacier vaults and archives, and familiarity with AWS Identity and Access Management (IAM) are recommended to successfully complete this project. Archive upload tool: The Glacier console does not support archive upload operations. You can use a number of 3rd party data management tools that are integrated with Amazon Glacier, such as Cloudberry or FastGlacier, to upload archives. Otherwise, you can use the AWS Command Line Interface (CLI) or write code to make upload requests using the AWS SDK. Monthly billing estimate: The total cost of setting up and maintaining a compliant archive will vary depending on your archive size, location, number of requests made, and data transfer fees. Standard Glacier charges will apply, which start at $0.007/GB/month. To see a breakdown of the services used and their associated costs, see Services Used and Costs. This document includes a basic approach to evaluating AWS controls and provides information to assist customers with integrating control environments. Need more resources to get started with AWS? Visit the Getting Started Resource Center to learn more.